In two countries, Hungary and Brazil, the name of the movie has been slightly changed. 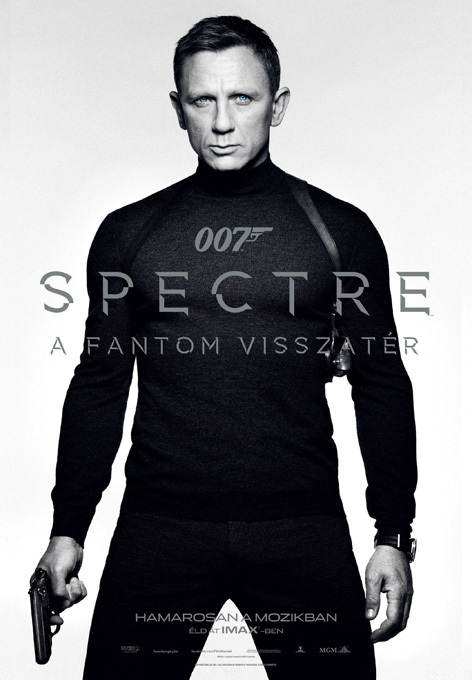 In Hungary, the name of the movie is 007 SPECTRE - A Fantom Visszatér (The Phantom Returns), see the poster below. 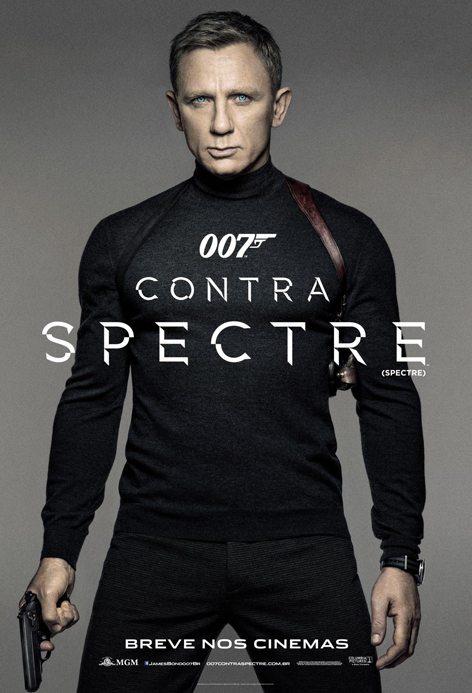 In Brazil, the movie is called 007 contra SPECTRE (007 against SPECTRE). 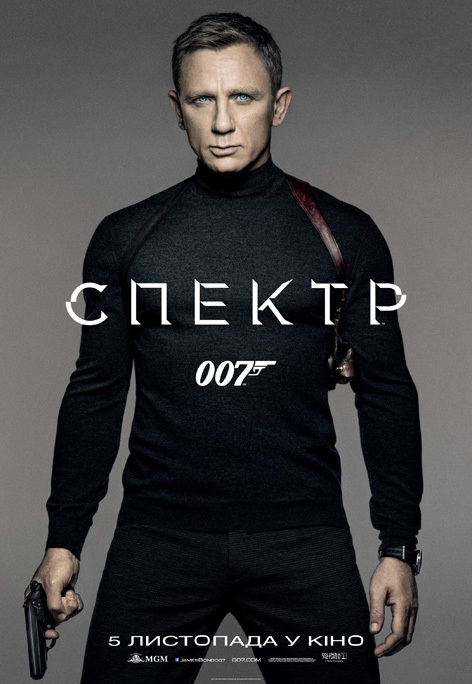 The Russian and Ukrainian posters show the name as СПЕКТР. 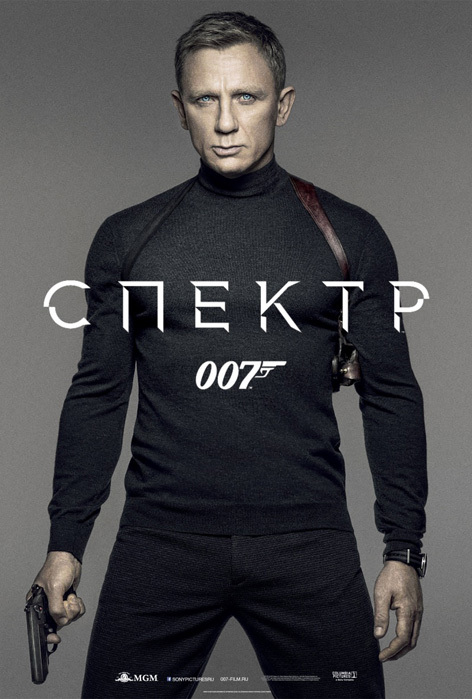 Interestingly enough the shadow effect of the title font is reversed for the Ukranian poster, compared to the Russian poster. 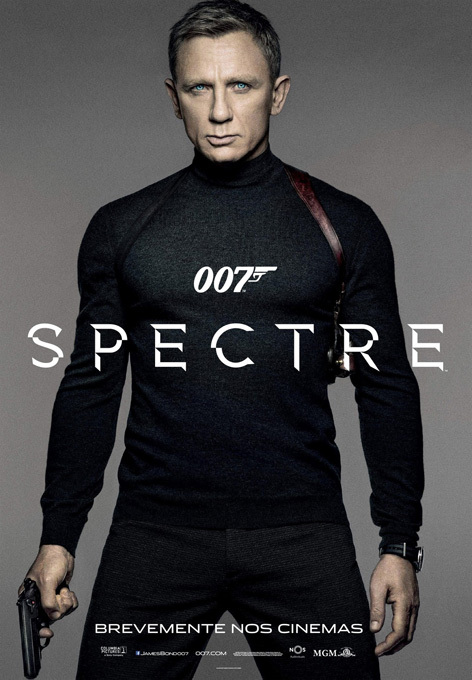 Daniel Craig as James Bond is wearing an N.Peal turtleneck sweater in the poster, read more. 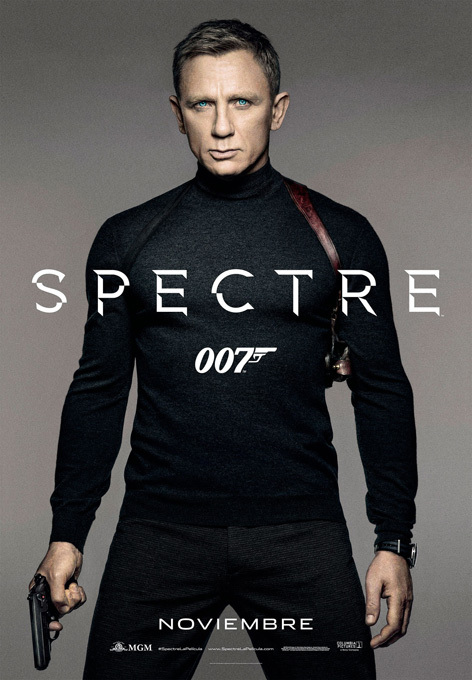 He also sports an Omega Seamaster on NATO strap, Walther PPK and a vintage looking brown leather shoulder holster. 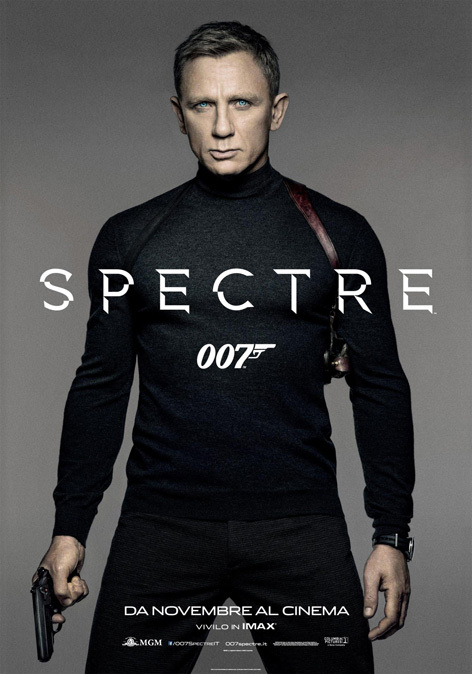 For more clothes in the film, check out the Bond Lifestyle SPECTRE guide. 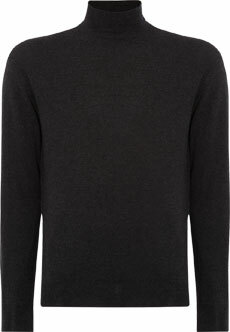 Which is the font of the letters?.